Seventeen-year-old RaeQuan Battle’s basketball journey is filled with tales of amazing athleticism, skyrocketing potential, and a relentless determination to get buckets. The teenage Tulalip tribal member has gone from rez ball regular to Marysville-Pilchuck stand out to a four-star prospect committed to play at the University of Washington. In his junior year at Marysville-Pilchuck High School, RaeQuan dazzled opposing coaches and college scouts everywhere as he averaged 21.4 points and 8.0 rebounds per game. He was instrumental in guiding the Tomahawks to a 19-5 record, their first District title in over two decades, and a memorable trip to the Class 3A state regionals last winter. 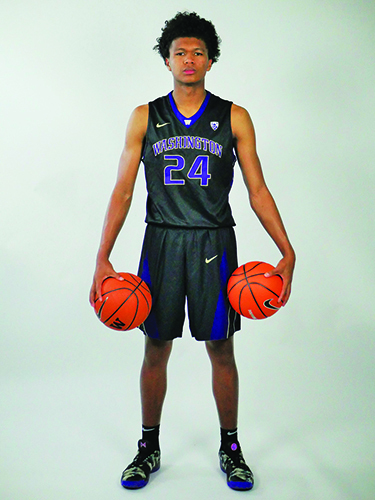 Following his career year at M.P., the University of Washington’s recruiting team was again at his door with scholarship in hand. They convinced the 6-foot-5, 200 pound RaeQuan he’d be a perfect fit in the up-tempo style that features outstanding guard play. Plus, the idea of staying in state to remain close to his family and reservation was a huge perk. Over the last several seasons, RaeQuan has continued to work on his basketball skills while playing on the national AAU circuit. He’s traveled the country playing for Seattle Rotary, a high-profiled team that competes as part of the Nike Elite Youth Basketball League. With his height advantage and skill set both growing, so has his profile. Per ESPN’s composite rankings, he is listed as a four-star prospect and the No. 4 overall player in the state of Washington. 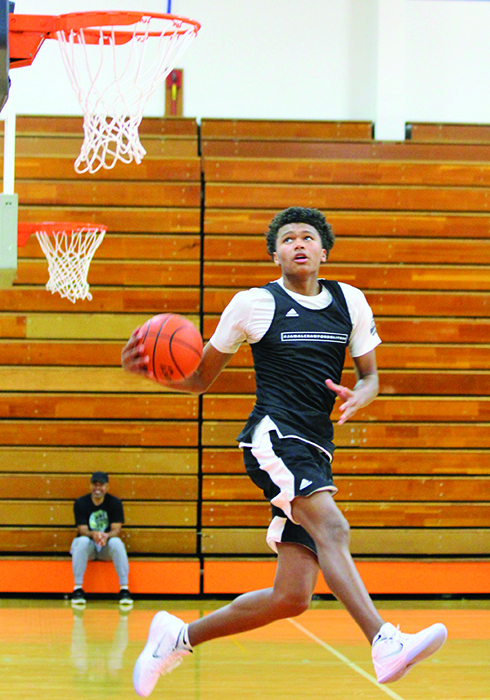 The national attention has garnered him invite after invite to national tournaments and high profile basketball camps, where he can showcase his talents against the best high schoolers around. 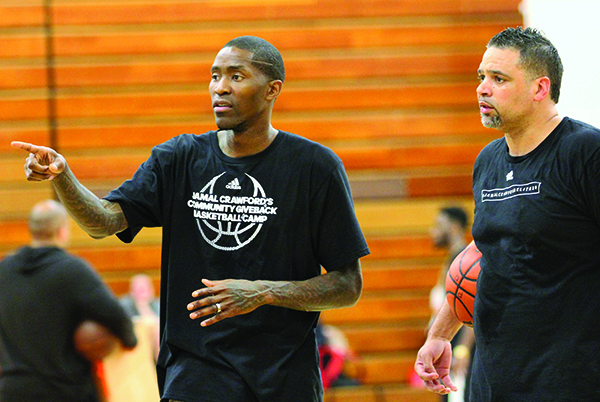 Such was the case during Labor Day weekend, when RaeQuan was invited by Jamal Crawford, NBA player and Seattle hoops legend, to participate in his Top 30 camp held at Rainier Beach High School. 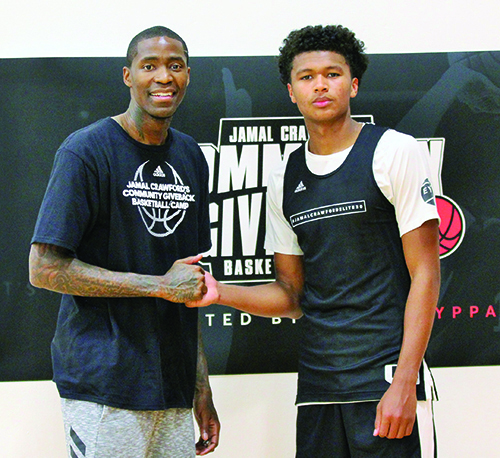 During Top 30, RaeQuan not only hooped against some of the best basketball players in the state, but received important advice and training tips from several current NBA players who’ve come out of the greater Seattle area, such as Jamal, Isaiah Thomas, Nate Robinson, and Zach LaVine.